Whether you’re new to naturopathy or you’ve been self-healing for years, some natural remedies should be on hand all the time. Here is a partial list of medicine chest (and refrigerator) must-haves. Oscillococcinum is a homeopathic remedy for colds. If you can take it at the first sign of sickness, you may be able to avoid a full-blown cold—or if it does develop, it won’t last as long. Zinc lozenges and Vitamin C powder are also helpful to have on hand before a cold takes root. Fresh garlic is antifungal, antibacterial, and antiviral. You can mix it in drinks if you’re not feeling good, or you can take the plunge and eat a whole clove. Garlic is good for blood pressure, and if you don’t want to eat it, garlic tablets are a perfect substitute—just be sure to get the odorless capsules. Coconut oil is a good all-around natural remedy. You can use it for everything from dry hair to diaper rash to removing makeup. It also makes a great carrier for other essential oils and herbs. Eating a spoonful a day also gives you essential fatty acids. Activated charcoal is the thing to take if you feel as if you have food poisoning or feel extra gas after a meal. Some swear by it as a hangover remedy. Raw honey boosts immunity and is also antibacterial, antifungal, and antiviral. You can put it on burns or use it for other skin issues. Eating local raw honey year-round will give you amino acids and may help reduce allergies. 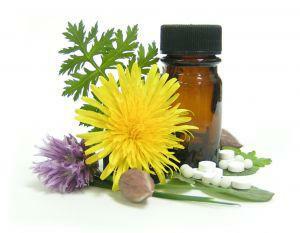 Rubbing Arnica oil on injured muscles helps relieve pain and bruising. If you don’t want to use it topically, you can find it in pellet form. Make a natural version of Vick’s Vapor Rub with eucalyptus essential oil and coconut oil. Cayenne powder stops bleeding if applied topically and increases blood flow if taken internally. Fresh ginger is good for upset tummies, sore throats, and colds. You can put it on food to maintain health or make a tea with it to soothe yourself when sick. Ginger capsules help stomach upset. If you have questions about any of these natural remedies, contact us.